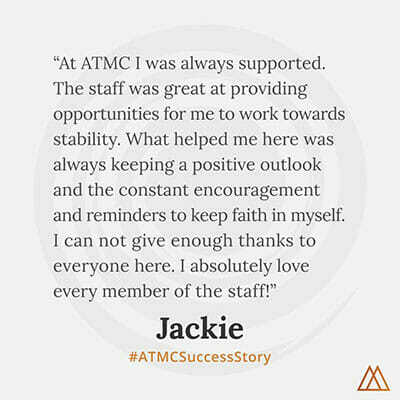 This entry was posted in Recovery, Success Story on January 2, 2008 by ATMC Team. I probably could go on and on forever talking about how life-changing the program has really been for me, as it really has. At the start, I felt angry all the time. Several people told me several different times that I really needed to adjust my attitude. I was putting holes in walls, and I wanted to just run away. But whether I liked it or not, my family and the staff made me stay, and today I feel so proud and happy that I can say I’ve completed the chelation program. Things started to turn around after day two. I have done a different program before, and I knew because of my recent drug history that this time would be harder. I’ve had some mind blowing, amazing wins. Now it kills me when I see other clients who are not putting effort into the program, or taking all that they can get from it. I’m happy to say that today I am a totally different person than I have been, at least for a year. I’m not worried about little things that don’t matter anymore, and I just love all the people that have given me support. Being so young, my age has made this process a rather interesting one, since I’m in a house with people who are mostly at least twice my age. I am seventeen, and proud to talk about how I’ve gotten my life back on track, and I will not go astray in my life later, but if I do, now I have people which I’m positive that I may rely on in order to get pointed down the right path. And that’s not all, I have also now a very strong set of personal morals and standards that I have formed based on the observations I’ve made about myself and about other clients I’ve met while being here. I probably could go on and on forever talking about how life-changing the program has really been for me, as it really has. Just by taking a look at me I am sure that you could tell, I laugh, giggle and smile easily. I’m ready to start moving on in my life, face the world, and this is a huge accomplishment, as I was nearly kicked out several times from the program. I am not alone when I say that I was not sure that this day could ever come, however I am SO proud of myself and honestly happy that it has.